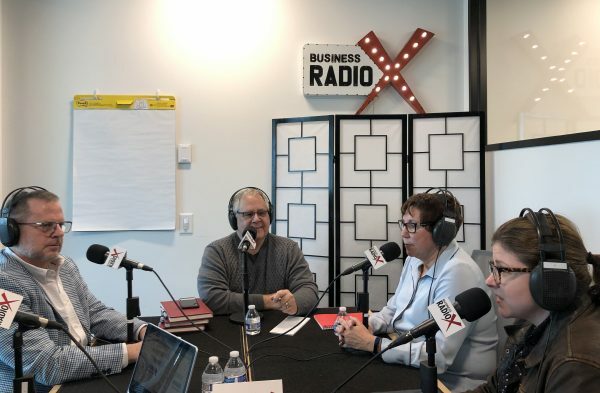 Melody Astley, Bob Frailey, Patti Tessendorf, and Steve discuss challenges and learning around sales effectiveness within their organizations. According to Melody, a compelling seller understands the client from a financial and operational perspective, and aligns their solutions to the client’s strategy. FinListics, notes Melody, gives sellers the insights they need to start these conversations and communicate impact to the bottom line. She earned her MBA from Goizueta Business School at Emory University and received her undergraduate degree in Marketing / Management Information Systems from Ohio University. Follow FinListics on LinkedIn and Twitter. Bob Frailey, Sr. Director, Center of Excellence with Infor, is responsible for initiating and coaching sales teams to leverage common processes/tools around Account and Opportunity Planning in an effort to activate demand, increase win rates, and ultimately drive more predictable revenue. His focus is on effective team preparation, collaboration, strategic planning, and flawless execution. Follow Infor on LinkedIn, Twitter and Facebook. Patti Tessendorf is a proven goal oriented leader with broad-based management and consulting experience providing strategic, operating, and business acumen to customer and internal constituencies. She is a results oriented communicator with extensive qualifications and proficiency in sales enablement and operations, field sales, sales leadership, strategic account management, customer retention, process improvement and inter-departmental synchronization enabling high performing teams, predictable revenue streams, and sustained customer satisfaction. Steve Maul is the founder and managing principal at The Semantics Group. He brings nearly 40 years of successful marketing, sales, performance improvement and management experience to the clients with whom he works. Having a career in direct and channel sales, sales management, marketing, finance and as an executive in companies both large and small, Steve grasps quickly the challenges faced by his clients and works to clear the hurdles that prevent revenue growth and predictability. His passion is not only helping his clients GET customers, but also ensuring that they can deliver the expected value so those customers will establish loyalty and repeat buying. Steve has authored dozens of performance improvement programs for sales, marketing, consulting and customer service professionals and worked extensively with world-class companies such as SAS Institute, CenturyLink, Cisco, FinListics, Fiserv, Mansfield Energy, Oracle, SAP, and others. Follow The Semantics Group on Twitter and Steve Maul on Twitter and LinkedIn. Katy Galli: [00:00:02] Broadcasting live from the Business Radio X studios in Atlanta Georgia. It's time for Atlanta Business Radio, spotlighting the city's best businesses and the people who lead them. Lee Kantor: [00:00:16] Lee Kantor here. I am very excited to have our inaugural episode of Sales Effectiveness Radio, brought to you by our good friends at The Semantics Group. I got with me my co-host, Steve Maul. Welcome, Steve. Steve Maul: [00:00:28] Good afternoon, Lee. How you doing today? Lee Kantor: [00:00:29] I am doing great. This is Sales Effectiveness Radio. What's your vision of this? Steve Maul: [00:00:35] The vision is really simple, it's to bring people together in the studio and on-air who have insight into particular challenges that organizations are facing in sales effectiveness today, to get to some of the ideas out on the table as to what they're seeing in trends, or challenges, or successes, and share that information with our listeners. Lee Kantor: [00:00:55] And you brought a wonderful crowd today. Steve Maul: [00:00:58] I did. For the inaugural episode, I decided to go to people I know and love. And so, I brought with me three people with whom I've had the great privilege to work for many, many years, and who I know have, not only the experience, but the stories to tell and the insights to offer that will be very valuable to our listening audience. Lee Kantor: [00:01:16] So, who do you got? Steve Maul: [00:01:17] First, I have Melody Astley from FinListics. Melody is the VP of Sales there. And glad to have you, Melody. Melody Astley: [00:01:24] Thanks, Steve. Welcome. Steve Maul: [00:01:24] Thank you. And Bob Frailey, who is a coach at the Infor Center of Excellence. Bob, welcome. Bob Frailey: [00:01:30] Hello, Steve. Steve Maul: [00:01:32] And Patti Tessendorf who is -- if I tried to rattle off all of her experiences of expertise, it would take me a long time. But she's had a great privilege of sales effectiveness, not only within an organization itself, but as an outsider helping organizations become more effective. Welcome, Patti. Patti Tessendorf: [00:01:49] Thank you. Welcome. Good to be here. Steve Maul: [00:01:51] Thank you. Lee Kantor: [00:01:51] All right. But we're going to kick off the show with Melody Astley. Welcome. Melody Astley: [00:01:55] Thank you. Lee Kantor: [00:01:56] Well, tell us about FinListics. How are you serving folks, Melody? Melody Astley: [00:01:58] FinListics Solutions, we've been doing what we've been doing for about 20 years out of Atlanta, and that is to work with B2B sellers to help them change the way that they're approaching clients. So many organizations aspire to call. They say, "Call as high as you can. Call on the top executives." And that's all fine and good, but then the problem becomes what exactly do you say? What exactly resonates with those executives. And these executives, they're businesspeople, right? They care about money. Their executive compensation is often tied to business performance. So, the deal is you'd better understand your customer's business performance if you're going to ask them to spend money with you. So, that's what we do it FinListics. We help B2B sellers better understand their clients from a financial and business perspective, and weave it into the language, in their sales motion to be more effective at those high-level conversations. Lee Kantor: [00:02:47] So, you're giving them, kind of, the intel in order to create the relationship in a more authentic, organic manner? Melody Astley: [00:02:54] Yeah. We give them intel through our software platform client IQ. And we also provide education where they're working hand-in-hand with current or former CXOs who've sat on the buy side, and sat through thousands of miserable sales calls, and knows what good, bad, and ugly looks like, and coaches them through to a better conversation. Lee Kantor: [00:03:12] Do you also help in the, kind of, navigating the politics of the organization? Melody Astley: [00:03:17] We do. And, fundamentally, that's about every person has their own motivations. They share a company and corporate goal. And they divvy that goal up and they have their own motivation. So, how do you understand what those motivations are, and how do you resonate with those individual stories because what Steve cares about and what Patti cares about might be different than what I care about. So, how do you get that messaging right. Lee Kantor: [00:03:39] So, that's like -- and then, I guess, the old way of doing it would be like we target VPs, and then they just have a VP message, and you're getting very granular in terms of what is Bob's specific motivation? What is Bob trying to accomplish? Melody Astley: [00:03:54] That's right. That's right. Because, again, motivations are personal, not role-based. Lee Kantor: [00:03:59] So, now, for you, how did you get in this line of work? Melody Astley: [00:04:01] How did I get? Serendipity, I would say. Now, just by way of background, I spent 12 years at IBM where we used FinListics as part of our sales practice. I used it effectively in the banking sector for years. And when I ran across the founder of -- and Steven Timmy the guy I worked for and with at FinListics, he said, "Hey, would you be interested in coming over to FinListics to run sales and grow the business?" And it didn't take me long to say yes. And that was six years ago, and we've been rocking and rolling since. Lee Kantor: [00:04:33] So, now, how did your perspective change when you were on the other side of the table compared to where you are now? Melody Astley: [00:04:39] Well, I've always been on the sell side rather than the buy side. So, how my perspective has changed is my belief in what we do is even deeper and more convicted because what we can see, I saw it from a single perspective. But now I have the purview to see how we've impacted and helped organizations truly, truly transform. And when people come back to you and say, "Hey, I've used this, and it has changed my career," it's just unbelievably rewarding. Lee Kantor: [00:05:08] So, when they're saying they've changed their career, that's for them as an individual, they're more successful, or they're less frustrated? Melody Astley: [00:05:13] All of the above because success in sales leads to reduced frustration. It's Like an inverse relationship. So, yeah, from a career perspective, they're performing better because they've adopted the language of business in their conversations. Lee Kantor: [00:05:28] So, walk me through what it looks like. If you're going to onboard me, like what do you have to know about me and my goals in order to help me become more effective? Melody Astley: [00:05:38] What I have to know about you and your goals as a B2B seller or a B2B sales leader would be, how do you really want your organization to transform? Where are you today? Where do you need to be? And how do we really take a good look at that gap and get the commitment to make the change? Because the change is not easy. And what we can't have is just a one-and-done moment. This method and understanding the language of business is just like any other kind of muscle. You have to use it for it to work, and it's not comfortable or fun when you start. So, what it takes is sustained commitment across a period of time, and using it, and coming back, and practicing, and practice makes perfect. Lee Kantor: [00:06:15] So, FinListics isn't a solution for me as an individual. It's for me as an organization. Melody Astley: [00:06:21] Yeah. Organizations work with us and provide it to their individual sellers and sales leaders. Yes. Steve Maul: [00:06:29] And, Melody, you talked about the fact that that change is not easy and developing that muscle memory. That seems like that would really impact the effectiveness of a seller individually and the team that supports them. How does FinListics help develop that muscle memory? Melody Astley: [00:06:44] Oh, well. It's change management fundamentally. And sales enablement is a key function that helps that. Like you say, Steve, and I like what you say about this around sales enablement, sales enablement is not just a business function. Everybody in a company should have sales enablement because without sales, none of us have jobs. Steve Maul: [00:07:04] Right. Sales enablement is a culture, not a job. Melody Astley: [00:07:07] It's a culture. It's a culture, not a job. So, change management is hugely important, and that comes from the top down. We use the word -- sometimes, we call it moral authority, which we should not have -- a sales enablement culture should not have an opt-out mentality. It's how do you get people on board? What's in it for them? And what's in it for them, like we just talked about, is improvement in your financial position because you're more successful in your career. Your career trajectory changes. Your financial situation changes. Your life changes. So, that's a clear message as to what's in it for them. So, change management, sustained commitment, and we do things along the way like client success managers and people that we plug into our clients to help them along the way to make sure that it is sticky, it is a practice that's being coached to and rolled out, and it's not a one-and-done. Steve Maul: [00:07:57] That's great. You mentioned good, bad, and the ugly. And we've probably all been in sales conversations where all three were present perhaps simultaneously. How does FinListics enable that ongoing coaching? And this probably is something Bob can follow up on as well when we come to Bob. But how do you do that coaching or with the client and drive that behavior observation first, and then behavior adaptation? Steve Maul: [00:08:36] No one. Melody Astley: [00:08:36] Nobody, but it's kind of like going to the dentist, you have to do it. And you get better as you practice that role play. So, it starts with saying, "Hey, your typical seller doesn't want to sit through this, kind of dials it in, thinks he or she is going to show up and have a wonderful conversation. And that's rarely, if ever, the case." So, how do you set up an environment to make it okay to fail, to make it okay to grow, to start, to tear it down to build it up? And as a part of that you, we're gentle with the feedback but, to say, these are the two or three things in each step of the process that you want to pay attention to. And we coach to that on an ongoing basis. And we, also, very much encourage while they're steps and it's a process, you have to use your own style because if you feel like you're using someone else's style or someone else's words, it's inauthentic. And we all know that inauthenticity is the death of a salesperson. Steve Maul: [00:09:27] Yes, scripts don't really work here. Melody Astley: [00:09:29] Scrips don't work. Steve Maul: [00:09:30] So, you talked about the freedom to fail, and that sounds cultural as well because without mentioning names, we all know organizations where failure is not looked upon particularly well. And so, trying things that are new and knowing that we learned through failure and feedback, have you broken the code on any of that as to how to make that easier for those types of organizations? Melody Astley: [00:09:54] Oh my gosh. Sometimes, it's just a tough conversation with the leadership. We talk about change management and transforming from point A to point B. Well, part of that, it's not just throw a process in place. It is the mindset and the behavior change. And, sometimes, that's saying let your people fail. And you also see the type A seller personality kick in where they want to best their peers. And that's fine too. So, it's really understanding where the mental roadblocks are and the behavioral roadblocks are and having those frank conversations, which you have to do and observe over time, which comes back to this needs to be an ongoing journey, not a one-and-done. You don't change with a one-and-done. Steve Maul: [00:10:30] So, it's not a one-and-done there, but you can't just drop off the product, do some education and training, and disappear either. This is a relationship thing for FinListics to help manage, right? Melody Astley: [00:10:44] Yeah. Client IQ is our analytics tool to help our customers better understand their business. That's designed to be easy to consume, to be scalable. So, sure, I mean, you could subscribe to Client IQ and get the insights that you need very quickly, but then the question is, how do you bring that to life? How do you bring that into your conversation? How do you weave it into your sales process? And how do you change? Steve Maul: [00:11:07] And having seen that that tool set, I can attest it is a remarkable tool, and it's very helpful. But if you don't know the meaning of the data you're looking at, it can damage your reputation, the reputation of a seller to walk in and make some statement that is factually accurate but not at all contextually appropriate. Melody Astley: [00:11:24] Correct. In one of these most simple examples we use are we were working with a seller who was responsible for one of the biggest banks in the country. I mean, I could say the name. It's a stagecoach bank, no big deal. And the seller who's responsible for delivering hundreds of millions of dollars to the bank did not know what an efficiency ratio is in banking. Now, that is the measurement by how the executives are paid, by how they're playing in the industry, and how they're managing their capital structure. It is so fundamental to know that. And how do you have a business conversation if you don't understand efficiency ratio as an example, right? Efficiency ratio, retailers don't care about. So, to your point, fit for purpose and make sure that message resonates. Steve Maul: [00:12:11] Yeah. It reminds me of the old days where you'd have your standard pitch, and then you'd say, "Well, if you were a hospital, you'd really like this." And that doesn't work here, right? It's got to be tailored. Every message has to be tailored. And what I heard you say was not only to the industry but to that individual because their motivations are going to be different. So, one of the things about being a better seller is the homework you have to do before you have the conversation. Melody Astley: [00:12:38] That's right. And to your point, we work with a lot of technology organizations, B2B technology sellers. And while a message they aspire to have a trusted advisor, in my opinion, an overused term. but that's for a different outcome. Steve Maul: [00:12:52] Dramatically overused. Melody Astley: [00:12:54] Let's do that. Let's talk about that later. Steve Maul: [00:12:56] In the next show, yeah. Steve Maul: [00:13:27] It's no longer speeds and feeds. Melody Astley: [00:13:28] It's no longer speeds and feeds. And we all know it's no longer order taking. So, why not spend just a couple minutes to have another tool in your kit. Steve Maul: [00:13:36] Yeah, great. Lee Kantor: [00:13:37] But this isn't a situation where you're dealing with tactics. This is more strategic, and you're getting to the heart, and customizing this almost in a one-on-one situation as opposed to this is a one-size-fits-all. We're going to do this tactic of selling. Lee Kantor: [00:13:56] Right? And it's not bad at all. Lee Kantor: [00:14:01] Because you're agnostic from that standpoint. Melody Astley: [00:14:03] Correct, correct. We'll work with any process. This is really, how do you understand on a customer-specific basis your value profit. Lee Kantor: [00:14:09] What's the most effective way of dealing with Mary or Bob might be totally different, and they both could be CIOs. Melody Astley: [00:14:17] You got it, exactly, because the business climate is different for every customer. Steve Maul: [00:14:20] They could be both CIOs in the same business with different divisions, and they still have different motivations. Lee Kantor: [00:14:26] And they might have different ways of communicating with them. Melody Astley: [00:14:30] That's true. Lee Kantor: [00:14:31] And persuading them. Lee Kantor: [00:14:33] So, now, that's an important distinction in your firm as opposed to a lot of the other plug and play. Melody Astley: [00:14:37] Well, right because, like I mentioned before, and it is the point, which is so many of these, kind of, one-and-done efforts teach you how to talk, like how to talk, how to stand up, how to dress. And all those things are fundamentally important. You got to show up correctly. But what FinListics brings to the table is what, on an ongoing basis, to talk about. And that is the business insights on a company-specific basis that they absolutely care about. Lee Kantor: [00:15:05] So, if somebody wanted to learn more, have more substantive conversation, what's the best way to get on with you? Melody Astley: [00:15:09] Come see us at finlistics.com, www.finlistics.com. We're or on Twitter, we're one LinkedIn, and find us there. Lee Kantor: [00:15:17] Good stuff. Well, thank you. Melody Astley: [00:15:18] Thank you. Lee Kantor: [00:15:19] All right. Next up on Sales Effectiveness Radio, we have Bob Frailey. Welcome. Bob Frailey: [00:15:24] Hello, Lee. Glad to be here. Lee Kantor: [00:15:26] All right. So, you're with Infor. Talk about that. How are you serving folks? Steve Maul: [00:15:35] Right now? Is there something we should know? Bob Frailey: [00:15:37] Well, thank you, Maul. It's the new gig. This is a new gig for me. And I've been doing this in the application and software space for over 30 years, and initially carrying a bag, been a sales manager, then had the pleasure of going with this gentleman, Steve Maul, and Patti, and doing a company that actually focused on driving behavioral change through sales development programs. Bob Frailey: [00:15:59] And after that, which was a very successful run for the three of us and many others, I actually went to the client side. And one of my largest clients globally was a company called -- still. Well, it was a company called Oracle, at the time. And they decided to take what we're talking about here one step further. And they built, in essence, a center of excellence. And the idea was it's wonderful to have an outside company that's able to come in, and coach us, and do some workshops, and put in some reinforcement programs. But if we really want to get to the cultural change that's going to drive behavioral change, we need to really inculcate this into our organization. Bob Frailey: [00:16:35] So, the role was and still is at Infors - I'm, in essence, repeating it - is to make sure, number one, that we have executive alignment. And not just words to it, but that what are you going to do about this every single day, and what do you expect your managers to do. And we call that a cascading manager alignment all the way down. Step number one, make sure everyone's on board with what we're about to do, or what we're supposed to be doing, and what are you going to do to support it on an ongoing basis, a perpetual basis. Bob Frailey: [00:17:01] Step two, then, is obviously some sort of training workshop program where we're going to do these things, work the muscle memory. I mean, you think about any sport. And I'm a golfer, I'm not a good one, but I love golf. The difference between the best golfer in the world, and the one that makes the most money, and the one that's number 10 or even 50 on the list is less than a stroke or two. So, you find the professionals in every business, every sport, they're always looking to get a little bit better. Bob Frailey: [00:17:28] And I come from the school of thought that we all have to get a little bit better. We have to work that muscle memory over, and over, and over. And as a coach, that's where I see my role is to continually work with people to give them feedback, to work with them on their call plans, if you will, their messaging, before they go in. And then, debrief it on the backside. And same thing with wins. And, probably, just as important, if not more importantly, the loss' side. What did we do well? What should we have changed? What was our messaging? What should it be? Bob Frailey: [00:17:53] And I'll take it one step further. I'm trying to push the envelope here. And one of the most interesting things to me over the 30 years in this business is we used to think success was getting a meeting with a CIO or any executive, for that matter. And the number one question most reps would ask is, "Well, what's keeping you up at night?" And that's got to change, folks. Number one, we've got to get points of views outside of IT. We need to get points of view across the organization, and pull them together, and we might want to think about changing to come at this from an approach of telling them, "What should be keeping them up at night?" Be a little bit more provocative. Be a little bit more business-centric as we just heard and brings value to the table versus just trying to position ourselves for the next speeds and feeds demo day. Lee Kantor: [00:18:37] Not exactly be a problem solver but, also, be kind of a problem identifier. Bob Frailey: [00:18:42] Yeah, yeah. That's right. The thought leaders, if you will. Steve Maul: [00:18:46] Yeah, because that what keeps you up at night question, I always describe as the best question possible in 1985. When you didn't have access to the the large and vast array of data today about organizations, and roles, and personas, and background, and everything else, you didn't know. You knew what might be, but you didn't know. And to walk in today and not have that point of view that you're talking about is almost criminal. Bob Frailey: [00:19:12] And I would say back in '85, Steve, when you were selling, and I was still in grammar school. Well, I'm just kidding there. But, hey, listen, we didn't need to get this. It was a different environment for selling. And it was more of an IT sale, and they would sell it internally, but the power has shifted. Steve Maul: [00:19:26] The power has shifted. Why do you think that is? Bob Frailey: [00:19:30] Oh, I don't know if I want to say it on public radio, but I think the business, the world is changing. I think the advent of the cloud technology is it put solutions closer to the end users, and they're more familiar with it. And there might be some pent-up frustration from the way, perhaps, IT organizations have worked in the past. Steve Maul: [00:19:48] Would it be fair to say that expectations of IT has changed? Bob Frailey: [00:19:51] Without a doubt. Steve Maul: [00:19:52] Right. Because back then, IT was a catch-up mode. Jeez, my competitors put in an ERP system, so I should as well because that allowed me some cost efficiencies. Today, if you're not using technology to drive advantage, then you're really at a risk. So, it's one of those things where the business expects IT to become a competitive differentiator; and therefore, they look for the business behind IT, not the technology. Is that a fair statement? Bob Frailey: [00:20:19] I think that's extremely fair. Lee Kantor: [00:20:21] Now, do you find that because the information is so ubiquitous right now that everybody has it. How does the sales team, kind of -- like what are the different challenges that they have in today's world where, before, they used to be the answers for the client and, now, the client has the answers? Bob Frailey: [00:20:40] Man, that's a good question. And I come back -- I look at everything now, when I talk with people that are in different software companies, and I go back to the Geoffrey Moore's Crossing the Chasm, right. And I first figure out, okay, where is this company on this bell curve? Are they on Main Street? Are they in the tornado? Are they trying to create a market with early adopter, or are they laggards, and they're trying to reinvent themselves? So, each one of those situations, to me, is different, and it requires a somewhat different skill set, mindset, and approach for each of those organizations that might be somewhere on that bell curve. Bob Frailey: [00:21:20] But, generally speaking, step number one is figure out what's really important. Is it things like that business development prospecting skills? We don't have many clients. We don't have any references. So, we've got to get out, and we've got to activate dormant pains to create opportunities. And then, we have to entice them to want to bet their business in some cases on us by giving them something above and beyond. Perhaps, that's direct access to product enhancements or things of that sort. Bob Frailey: [00:21:44] Versus on the other side of the scale, you've got clients that maybe implemented your systems 15-20 years ago when their business was very different. And over that time, they've never taken the time to really take advantage of upgrades. They never went back to really rethink, "Should I redo my chart of accounts because our business has changed? We're not getting the right information out." And that, to me, is a very different set of sales skills that we need for someone that can go in and help that client get on a journey to where they want to be versus someone that's on the front end of the pyramid. That's just we're looking to make a name in the market for ourselves. Lee Kantor: [00:22:17] So, now, when you're working and when you're wearing your coach hat, you're working with the sales teams, are you finding that they're pliable enough to be open to this change, or is it something that, like, "Look, I've done it this way and I'm not as nimble. I have a way that works. So, I'm less open to what you're saying"? Lee Kantor: [00:22:39] Steve Maul, you're quoting? Bob Frailey: [00:22:40] Yeah. I'm quoting. Steve Maul: [00:22:40] Always dangerous. Bob Frailey: [00:22:42] Well, only a reference. Steve Maul: [00:22:42] That's always dangerous. Bob Frailey: [00:22:43] The quotes come later when we go off the air. But when you start interacting with sales reps, you're going to find three types. You're going to find the sponges that are going to soak everything up. They're going on change. You're going to find the people that are on vacation that maybe they don't really want to learn something, but they're open to taking away three ideas. And then, you have prisoners that just don't want to be there. They think they're alone. And that hasn't changed. Bob Frailey: [00:23:05] So, yeah, there's a group of people that are just going to take up too much of your time. They're going to want to jump on everything you do, and almost a little bit too much. My sweet spot for me is those folks that have been successful that want to look at how they can take half a stroke or a stroke off their game. And those are the folks that, generally, I find the most success with. Bob Frailey: [00:23:27] And I will tell you this because this just happened last week. There was one prisoner in a program that I've been working with, a great guy, great track record, which is a good and bad news. Sometimes, that great track record, especially to another company, makes you think, "Well, it was me." Well, in some case, maybe it wasn't you. Maybe you were at the right place at the right time. Melody Astley: [00:23:46] But anyway, so, after a very significant loss, he was honest enough with himself to write out a detailed email to me to say, "If I rethink this and things that we had talked about that I, sort of, pushed off to the side, in hindsight, here are the things that I should have done that may have changed that." And to me, that's a very mature sales professional. So, we can get to the prisoners, but we have to stay on them. And I find as an internal person, an internal coach, they're perhaps more open to doing that with me than they would with their own manager, and in my previous life, as a third party. So, yeah. Steve Maul: [00:24:19] Well, you tied that back to the golf stroke differentiation between 1st and 50th. And that small incremental advantage, that slight edge that you have is one of those things that we often find the most talented and the best performing salespeople are constantly trying to sharpen their acts. They're constantly looking for how to keep that edge sharp. Melody Astley: [00:24:41] Have you figured a way other than when somebody has an epiphany onto themselves, which it sounds like this person did, have you found a way to make facile the awareness of that need to keep the edge sharp if they're not already doing? If they're sitting back on their laurels and going, "Yeah, I walk on water, I don't scare the fish. I'm a rock star, and I have what it takes to keep being successful," is there a way to get people in that mindset to think differently? Bob Frailey: [00:25:14] I think we've been very successful at that. I'll tell you two things that are working for us is, number one, going back to the manager alignment and what the managers expect. And so, before we get on calls or they get on an airplane to get -- or work on the phone is they expect, for example, something called a call plan. Very simple, it could be a wallet card for what it's worth, but it's something that's just an expectation. Bob Frailey: [00:25:34] But the other thing that I think we've done well is every Friday, we have a team enablement call that's led by our senior vice president. And from the top, he'll talk about where he was this week, how he used the call plan, how he used other tools, and we'll celebrate success, and we'll share stories where reps have said, "Gee, if I had thought about how I'm going to set a competitive trap or handle this objection, boy, this could have really clocked me on the nose." Bob Frailey: [00:25:58] So, some of it is it's great to hear from the guy in the center of excellence, but it's another thing to hear from your colleague out in the field that says, "Man, this helped me." And sometimes, it's going to help you get the momentum you want. Lee Kantor: [00:26:11] Now, how often do you see that kind of knowledge sharing happen where somebody does share something that worked for them in a certain thing, and then it being transferred, and it actually being implemented by other salespeople? Bob Frailey: [00:26:25] Well, I'll tell you, on my own experience, it happens well in individual sales teams at a regional level. It rarely happens across broader sales teams. I think that's one of the things that we've tackled here is to get perspectives across the country that we're doing a pretty good job of it. But then, the answer to your question really, it comes back to, in my mind, that the most important person in any cultural change program, which is that front line manager, and what he or she expects and drives towards on a daily basis with each individual rep.
Lee Kantor: [00:26:55] Now, do you see any mistakes that sales reps make over and over that you're like, "Here, it comes again"? Bob Frailey: [00:27:02] I think the biggest one - and I don't think this has changed in 30 years, although I'm open to debate on it - is it is very tempting for a sales rep when they get a call, and someone says, "Hey, I've got budget, I'm doing a project, and here's what I need from you. I need you to jump through fiery hoop one, complete this RFP. Include pricing, include references. We need a scripted demo in two weeks." And we're good sales rep, and we might use ban or whatever, and we ask about budget and authority, and need and timing, and everything sounds good. And all of a sudden, we set our house on fire, and we get all our pre-sales people to invest hundreds of hours and hundreds of thousands of dollars, in some cases to go out there and do it, but it's not really qualified. Bob Frailey: [00:27:41] So, the number one thing, to me, is, I think, sometimes, we're a little reactive. And we need to stop and slow down. And I like to use the term, which I stole from a friend of mine that I used to work with, which is give, get, go. We negotiate everything from the very first phone call, so we don't fall into a position where we go out, we give them price, and we give them an RFP, we give them references, we give the demo, and we have no leverage points left. They don't need us for anything. Steve Maul: [00:28:03] There's no reason for them to call you back. Bob Frailey: [00:28:05] Well, they go into the code of silence if you see them get smart. And you just don't hear back from them. And a lot of times, I mean, our biggest competition used to be, and this was no decision, alternate use of funds. There's really a decision, It's just we're using our funds elsewhere. That's changed a little bit in this marketplace, but you're right. They've got everything they want. And, quite frankly, if you peel that onion back, you were probably column fodder from day one. Steve Maul: [00:28:26] Right. Because you got to remember it, at any point in time, there's only one party in control of the sales cycle, and that's you, your competitor, or the customer. And if it's not you, you're in trouble. Bob Frailey: [00:28:35] Well, sometimes, for us, it's the consultant too, which is even another discussion. Steve Maul: [00:28:39] Yeah, yeah, yeah. I would add that in. That's a fair statement. Lee Kantor: [00:28:42] So, now, how do you coach, or do you use the word train, in this regard, to how to create this kind of tension that you need to have throughout the process rather than come up with all the answers? Bob Frailey: [00:28:56] That's a great question. I do prefer the word coach versus train. I don't even like sales training, though there's a training aspect to it just like in any sport. Whether it's ice hockey, or whether it's playing guitar, or anything, there's a training aspect. There's that aspect of it. But the coaching is it's not so much telling people what to do, it's asking the right questions, so that they come to their own conclusion. Bob Frailey: [00:29:17] And that's a tricky part, especially when we get sales reps that have been promoted, and they were great sales reps, but then they become the super rep or coach, and they try to say, "Well, I was good at this, and I'll just take it over." And the real transition, one of the most interesting transitions is to try and get those frontline managers to not spoon feed reps, but rather to ask them good thought-out questions, so that they come to their own conclusion, and the light bulbs go off in their own head. Lee Kantor: [00:29:43] So, to let them author the solution rather than tell them the answer? Bob Frailey: [00:29:47] Yeah. Then, there's a gap analysis very often where the rep is going to come back and say something that may not be exactly where you wanted them to go. And you ask another question, just try and get them to close the gap themselves. At least, that's what I experienced and the best way I've found to start driving behavioral change versus if I just tell even my kids to go do something, they'll look at me, and, sometimes, they just aren't going to do it in spite of me. Lee Kantor: [00:30:12] Well, if somebody wanted to learn more, have more substantive conversation, what's the best way to learn more about Infor? Bob Frailey: [00:30:16] Well, remember Infor is the company I work for. So, they could go into there, or they could reach out to Steve Maul, and he knows how to get me. Steve Maul: [00:30:25] And I'd be happy to put you in touch with Bob if that's something you want to do. Lee Kantor: [00:30:29] So, Steve, closer, who do you got as a headliner today? Steve Maul: [00:30:32] Well, Patti Tassenddorf is with us. And Patti is, like I said, in the intro has got a lot of experience both internal to organizations and as an outside consultant in helping teams become more effective. So, Patti, would you like to just give us kind of the big picture of where you see effectiveness being challenged, and what some of the things are that you've seen or done that have perhaps advanced the mission? Patti Tessendorf: [00:30:56] Delighted to do so. It's interesting, in the conversations that we've had during this particular event around coaching, but also having that continuous manager alignment, and forethought, and asking the right questions, having salespeople ask the right questions that get that customer to think along that same line that you are versus, "Let me just come in and open my bag and say, 'I got a lot of nice stuff. Which one would you like.?'". Patti Tessendorf: [00:31:21] Some of the things that I see in my experience from a challenged perspective is truly getting that true manager alignment all the way through the ranks, both from line sales managers all the way through to top executives. Because once people can become a bit vulnerable and begin to share the things that, not only that they're doing well, but things that maybe they're having challenges with, it becomes very powerful. Patti Tessendorf: [00:31:45] One of the things that I work on with folks many times is really understanding your own power in a negotiation, and understanding what does that mean, and how you can leverage that power. We tend to, as individuals, maybe make some assumptions that don't need to happen. So, part of sales effectiveness, sales enablement from a coaching perspective - Bob, you hit the nail on the head, and Melody, you did as well - is about asking the kind of questions then incite people to think and provide more information. And not just tactical information, but ways in which we can understand what their perceptions are on particular topics, so that we can help guide where that individual needs to go, and begin to bring some of that thought leadership, and have a more receptive audience. Patti Tessendorf: [00:32:30] So, it is engaging and enabling salespeople to be aware of the language that they're using and the insights that they want to gain. So, the type of questions they ask actually bring forward the type of information that would be necessary in order to continue to move forward. That in and of itself, from a thought-provoking perspective, actually creates a great deal of trust and credibility. Patti Tessendorf: [00:32:53] And then, you have that ticket, if you will, to ask even more difficult questions or be more provocative, engage in more exceptional activities. So, that manager alignment, creating a safe environment as well, people have to be safe in order to fully recognize situations where maybe they have not performed as well as they would have liked to or even to break down their own paradigms about their own performance, and that it's a safe place to be, and that there's not going to be anything bad that happens here, but it's truly continues to be a growth experience. Lee Kantor: [00:33:30] Now, everybody's talked about the importance of support from the highest stop in the organization. How does that, like in your mind, how does that kind of present itself? What is the ideal situation when you say, "Okay, the executives bought in," and "They're kind of endorsing this culture, this new culture"? What does that look like in your perfect world? Patti Tessendorf: [00:33:55] Really, in the perfect world, and where I've seen it be most successful, because I have seen it be successful - and actually Bob touched on it. Melody, you did as well - which is from a change management perspective is having that executive really be vulnerable. In other words, admit they've made mistakes, and this is how they recognized it, and what they did in order to say move beyond it, but to show that they don't always have all the answers, but they do want to be very much 110% part of the solution. So, to be able to, again, be vulnerable and show that side is very effective. Patti Tessendorf: [00:34:38] Now, it doesn't mean laying everything open. if you will, but it makes people more human. And when you're talking one human being to another, it's a much safer environment to work within. And you also see that you have support. Someone has had the same challenge that you've had, and they sometimes been very successful. Maybe other times they haven't been. But when they recognize those things that weren't, how did they go about becoming more successful, overcoming that particular challenge, whatever that challenge might be? So, it is as simple as really being human. Steve Maul: [00:35:11] Patti, Melody talked about the culture and the need for change management. And I know you have some experience in situations where your organization that you were working with had that top-to-bottom cultural alignment as to what we were trying to do as a business and the value that selling and sales teams brought to the business because, at the end of the day, if we're not selling anything, there is no business. Patti Tessendorf: [00:35:38] There is no business. No. We have to sell. Steve Maul: [00:35:40] So, can you describe how that worked and how that might be an approach to replicating that kind of uniform commitment to the mission? Patti Tessendorf: [00:35:51] Absolutely. Where I saw and where this worked very effectively was really a cross-section of stakeholders. And this was from top executives. I'm talking president down through line sales management and field salespeople. So, it was a cross-section of the population, if you will. But their commitment to each other was that they would always be honest, they were all on the same level. It didn't matter where you were in this organization, but why you were being brought together was to achieve a certain set of goals. And then, understanding what those guiding principles that they would operate by. Patti Tessendorf: [00:36:25] And the fact that they could be vulnerable with one another - I'm going to use that word again - and hold each other accountable to things, and that there was alignment, not just within that stakeholder group, but as they branched out to the wider part of the organization, that alignment continues. And that brings, again -- it allowed people to feel much more secure, and "Maybe I didn't do everything right. How do I get help to do the things right that I need to do?" Patti Tessendorf: [00:36:52] And so, when programs were rolled out in this particular situation, and it was both from a technology perspective, because we did roll out some technology as well, but from a skill effectiveness perspective was, how do we enable these individuals in a very safe environment and the behaviors that we want to foster become part of that DNA? And it was that cross-section of stakeholders being one goal, aligned, created a significant awareness, created a very safe environment for people to succeed, and also to be open about areas where they needed help. And what we saw, at that point in time, was a pretty significant increase, and we saw larger sales, and we saw shorter sales cycles. Steve Maul: [00:37:39] It seems like it would also make people more honestly accountable to one another. Patti Tessendorf: [00:37:42] It was. And even from a peer-to-peer basis is that everyone wants to get the award and be recognized. But, Bob, you mentioned about recognizing success, and that success comes in many different flavors and many different colors. So, it also was about being able to celebrate your peers' success, not just the organization's success as well, so that everyone really felt appreciated, and they built on that going forward. Lee Kantor: [00:38:12] Now, how do you deal with the multi generations in the workforce at the same time? Are they all inspired or motivated by the same type of sales processes? Lee Kantor: [00:38:44] Are more educated than the salesperson. Lee Kantor: [00:39:08] Gen X.
Patti Tessendorf: [00:39:09] There you go. I'll take it. Steve Maul: [00:39:11] We're not going to worry about labels. Patti Tessendorf: [00:39:13] No, I'll take it. It's how you receive and assimilate information is different. So, being able to understand that whether it is both visual, and textual, and experiential in nature, you've got to employ all of those different tactics to different audiences, And the real key comes down to is what inspires that particular audience. Patti Tessendorf: [00:39:40] Really, one, something that I see interestingly enough, which I find very satisfying is when I see different age groups of people in the same, say, selling scenario. When we break those walls down about, "Well, gee. I've always done it this way, and I've been successful at it. And how do I sharpen the saw or the ax," as you said, Steve, "in order to move forward is when we could break those walls down, and there was a true exchange of ideas. To be blunt, it was, "Patti needed to get out of the way and let them just keep going." So, it was about breaking those walls down. And that comes to understanding on the individual level, how they take in information and how they take in communication. Lee Kantor: [00:40:22] And what about that aspect of vulnerability? Do you find that different generations are more comfortable being vulnerable? Patti Tessendorf: [00:40:28] I do. Typically, a younger generation, they're generally more out there. Some of us who have been around maybe a little bit longer, sometimes, feel a little bit more self-protected, "Maybe let me build this wall." But it's the environment itself that actually creates the safety. Lee Kantor: [00:40:47] The environment in terms of like the culture of the company? Patti Tessendorf: [00:40:50] The culture of the company, very much so. And that culture of safeness has to be throughout. And that doesn't mean that you don't get held accountable for the things that you do or things that you're responsible for. You have to live in a safe environment in order to truly be accountable. Lee Kantor: [00:41:06] Right. It's hard to innovate if you could never fail. right? Steve Maul: [00:41:09] And you can't even learn if you can't fail. Patti Tessendorf: [00:41:19] That's a great point. Steve Maul: [00:41:20] ... or with a particular mentor. I mean, I can think back to my own early days in selling where, did I screw stuff up? Absolutely. And it was that one person who took you aside and said, "Here's why that didn't work. And would you like to fix that?" And if you can't say, "Yeah, help me be better," to that one person you trust, then you will never grow. Patti Tessendorf: [00:41:41] The other thing -- And that's an excellent point. I mean, I still have mentors that I go to now. And in the organization, Steve, that you and I were talking about a little bit earlier is that mentoring kind of program. And it can be formal, it can be informal. But when two people connect with one another in a way in which they truly can say, "I want your opinion. Let me just say this, and I need to say it out loud, and help me," from a coaching perspective is, "How could I be better? ", you talked about Bob about the questions that you ask. It's not about giving anybody the answer. It is about helping them come to that self-realization. It's all about awareness. Patti Tessendorf: [00:42:23] And then, in that safe environment, when that's created and, again, you're still held accountable, but you're much more able to take in new ideas, even expand on ideas that are there. You always want to look at how do we make this mousetrap a better mousetrap. And that it is about, "We're going to take this journey together." And I think, Bob, you use that the term journey. And I believe you did two as well, Melody, at some point. It's changing that conversation and having it be always a learning environment. Lee Kantor: [00:42:52] And with the advent of the internet and information everywhere, do you find that coaching is more of a must-have than a nice-to-have in today's world? Patti Tessendorf: [00:43:01] Absolutely, a must-have. I cannot stress that point strong enough. Because here's the thing, there's a lot of tools out there for sales effectiveness and sales enablement. Some of them are technology. Others are behavior or whatever. But we are human beings, and you can only absorb so much information at any given point in time and what is going to be most effective for that particular individual. Patti Tessendorf: [00:43:23] And the key is to have continuity in what these things are, these tools, on how we're going to use them - Pardon me - from not just a continuity perspective but you don't want to overwhelm someone. So, what is really the best way for, let's say whether it's Bob, or it's Patti, or it's Steve, they're going to take in information. And how do we use the tools and things that we have at hand in order to have that conversation? Lee Kantor: [00:43:48] And then, that ties back in with being vulnerable. You're saying, "I'm vulnerable, I'm going to have a coach help me, kind of, work on my blind spots or things that I'm not seeing because I'm a lifelong learner. And the information is coming fast and furious. And I'll never be able, as an individual, to keep up with everything. I need somebody watching my back a little." Patti Tessendorf: [00:44:54] Just listening. Just being that listening partner in a very safe environment. They don't work for me, I don't manage them. And, now, they've got a safe place to be. Patti Tessendorf: [00:45:10] LinkedIn is a great way, or they could certainly reach out to Steve Maul as well. Steve Maul: [00:45:13] Yeah. When we post this on LinkedIn, I'll make sure everybody is mentioned in there. So, you'll be able to connect to them. Bob Frailey: [00:45:25] Yeah. Fire away. Steve Maul: [00:45:25] ... that lead to summarize the thoughts. So, you guys have been so phenomenal with what you've shared with us today. I want to postulate a hypothesis here that says I don't think there's anyone here who would disagree that having skills, and the appropriate techniques, and a process, and a methodology are helpful to sales effectiveness. But if everyone had the exact same set of those, everyone had the exact same process, and everyone had the exact same methodology, and we all used the same techniques equally well, and we all had the same skills, what would make a salesperson more effective? What's the X factor that we should be looking for in our salespeople to make them more effective? Melody Astley: [00:46:06] I'll go. Melody Astley: [00:46:09] It's a couple of things, in my mind. And some of them are just intangible, right. Steve Maul: [00:46:18] We call that luck. Melody Astley: [00:46:18] And you create your own luck, over sustain sharpening of that ax over time. Steve Maul: [00:46:24] I agree, great. Melody Astley: [00:46:24] So, it is, how do you maintain diligence as a sales professional throughout your career? And that's curiosity. That's competitiveness. That's really wanting to make a difference for your client, not just for yourself. And that comes back to, we talked about earlier, how authentically are you approaching what you do as a profession, and how authentically are you bringing that forward to your customers and clients to solve their problems because their problem is not your problem or their problem should be your problem. Your problem is not theirs. Steve Maul: [00:46:55] Got you. Bob Frailey: [00:47:11] ... especially when you've got to coordinate with multiple internal resources. There's things like your personal power to help you do that when you don't have position power, which I believe actually can be learned. Some people are born with it. Others can be learned. Two things I'll leave you with. One is, do they execute well? And perhaps the biggest one to me still, and maybe I'm just old school, but nothing sells like confidence, enthusiasm, and it's contagious, and it's contagious internally, and it's contagious externally with your customers. If you don't believe in what you're selling, do yourself a favor, and go work somewhere else where you do. Steve Maul: [00:47:42] Great. Patti, anything to add there? Patti Tessendorf: [00:47:45] Well, just a couple of things. I think, to add to that is when I talk about honesty, obviously, honesty and integrity in the way that you deal with your business, but honesty about yourself. All of the things that Melody and Bob said, I absolutely agree with 100%. And especially on that competence and personal power situation is that if you believe, and it comes across, especially, many times, if you're on the phone with someone, you're not in front of them, you've got to be able to convey that belief that's out there. So, that real honesty about, how am I doing? How can I continue to be better? And you said insatiable curiosity, I say obsessive. Be obsessive about it. Lee Kantor: [00:48:26] You're going to tell them the right answer. Steve Maul: [00:48:29] I'm going to tell you. Well, no. I'm going to add an answer, a correct answer to that because, I think, those are all -- the last one I would add is responsibility. And that means when something goes wrong, you're not looking to who to blame. You're saying, "Whether it was my fault or not, it's my responsibility." So, no matter, when anything goes wrong, you look at how you can avoid having that thing go wrong again. How do you fix what went wrong? How do you look at yourself, and the actions that you took, and the things that you did, so that you can fix those things more quickly? And when you do, when there's outward blame, nothing ever gets advanced. When there's inward responsibility, people will pick up the pieces of whatever failed and move forward more quickly. Steve Maul: [00:49:13] Another question because you guys are all -- just so many great things on coaching, and I heard sports analogies, life coaching, vulnerability, all those things, and questions I agree wholeheartedly. And sports coaching is when you come off the field, he says, "Don't ever do that again," or, "Here's what I want you to do instead," which is very directive in nature; whereas, the thing that came across, what I heard there is reflective coaching. The questions that allow you to make visible to the seller, to the salesperson, what you saw happen and get their perspective. Did I read that right guys? I just want to make sure I'm hearing what you said. Patti Tessendorf: [00:49:54] And Steve, I mean, from my perspective, that's it. It's that it really is about helping that individual be reflective and be okay with it. It's that it's a good thing. It's that it gives you power because it helps you recognize behaviors that you want to continue to go forward with and others that you might want to adjust a bit. Bob Frailey: [00:50:13] And I'll reach back a little bit to a previous life where I heard a smart person say when you think about your sales team, your sales managers, I'm just talking about sales managers, they generally fall into one of five categories. One is they're the super rep that we've already talked about, which they're just going to do it. And that's not very scalable. Then, you have the boss that tells you which you should be doing. Then, you have the judge that tells you what you should have done. Then, you have the missing that's only there when they need a forecast update. And then, you have the coach. Bob Frailey: [00:50:40] And I think one of the greatest things all organizations, especially senior leadership, needs to think about is who's on your frontline? What's their profile? And what do you have to do to move? Because there's good qualities in all those, but how do you move your team to really be an effective coach versus one of those other alternatives. Steve Maul: [00:50:56] Thank you very much. I really appreciate that. Lee Kantor: [00:51:01] Good stuff. So, is that a wrap, Steve? Steve Maul: [00:51:04] I think it is. I want to thank Melody, and Bob, and Patti again for taking time out of their day, and being with us, and sharing their perspective on sales effectiveness. This was a phenomenal inaugural show. I really appreciate all of the things that you shared with us, and the questions you asked, and the insights you gave one another, and gave me, and gave our listeners. Appreciate that very much. Lee Kantor: [00:51:23] All right. This is Lee Kantor for Steve Maul. We will see you all next time on Sales Effectiveness Radio, brought to you by our good friends at the Semantics Group.